Lila Lee Nichols Jones was born October 5, 1924, three and a half miles west of Drexel, Missouri, in Miami County Kansas. Her ancestors came to Kansas in territorial days during the Border War, and her great grandfather, Sam May, settled three and a half miles east of the present town of Drexel immediately following the Civil War. Is it any wonder that from her earliest days, she became interested in history and writing about her family? Lila grew up during the Great Depression. Her father, Omar Nichols, was a foreman for a company that built highways across Kansas, a state she came to love. When her Grandfather Nichols gave her parents a 57-acre farm, they settled down and tried to make a living there. When they decided to stay on the farm, Lila enrolled at Drexel High School, where she was involved in various activities with music contests, home economics, dating, but most of all, the study of history. Then in her senior year, on December 7th, 1941, Pearl Harbor was bombed, and all future plans came crashing down. At the age of seventeen, Lila went to Kansas City to search for a job. She was hired by the Hallmark greeting card company, attended night school, and waited for the War to end. When the war ended, Lila and her sister Helen took the teacher’s examination and began teaching in country schools near Drexel. That is when Lila met Knoful Jones, a handsome Marine who had served in the Second Marine Division in the South Pacific during World War II. They were married on June 16, 1947, and had three children: Stanley, Nola, and Christina. Lila had a life-long love of history. 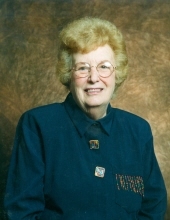 She was a member of the New England Historical and Genealogical Society, with genealogy being one of her many hobbies. The more she learned about her family, the more she wanted to know. She shared this interest with her students, and after retirement, she shared it with her Drexel community by gathering the stories of the families who lived in Drexel for the town’s centennial, as well as the history of Drexel’s veterans. Both of these efforts resulted in books that were bound and sold as fundraisers for the community. Lila is also well-known in the community for her love of quilting. On long winter nights, Lila could be found picking up the pieces of the old quilt tops that she’d purchased at some estate sale, and putting them all together to make them into beautiful quilts. Lila’s quilts were featured in magazine articles as well as a book featuring some of the many quilts that she had finished. All-in-all, Lila completed well over 100 quilts, all quilted by hand, compiling stories about the quilts as she went along. Lila was an amazing lady who never understood the concept of slowing down – whether she was teaching, writing peoples’ histories, completing long forgotten quilts, or collecting antiques. She was involved in life to the fullest until the day she stopped. Her family, consisting of her children, her grandchildren and great grandchildren, as well as her Drexel community, will miss her greatly, but we all will continue to celebrate her life and the role model that she provided throughout her long and fruitful life. God has blessed us all through knowing her. To send flowers or a remembrance gift to the family of Lila Jones, please visit our Tribute Store. "Email Address" would like to share the life celebration of Lila Jones. Click on the "link" to go to share a favorite memory or leave a condolence message for the family.